Years have passed since the world experienced one of the worst financial crises in history, and while countless experts have analyzed it, many central questions remain unanswered. Should money creation be considered a ‘public’ or ‘private’ activity—or both? What do we mean by, and want from, financial stability? What role should regulation play? How would we design our monetary institutions if we could start from scratch? 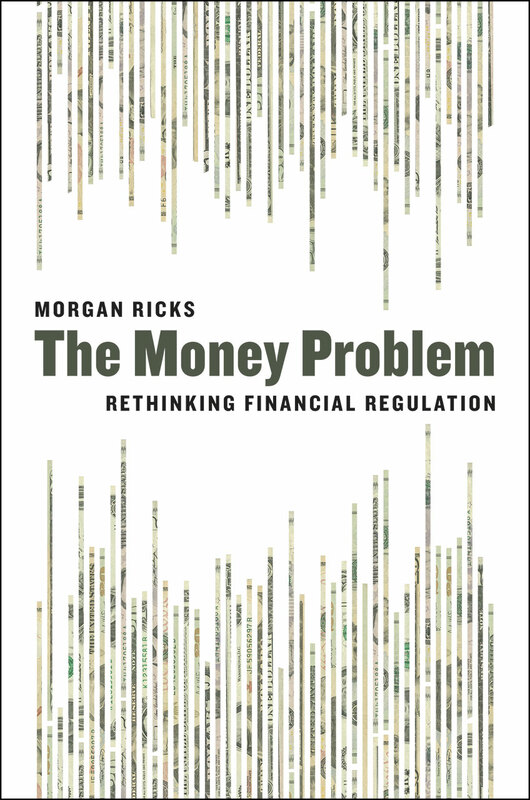 In The Money Problem, Morgan Ricks addresses all of these questions and more, offering a practical yet elegant blueprint for a modernized system of money and banking—one that, crucially, can be accomplished through incremental changes to the United States’ current system. He brings a critical, missing dimension to the ongoing debates over financial stability policy, arguing that the issue is primarily one of monetary system design. The Money Problem offers a way to mitigate the risk of catastrophic panic in the future, and it will expand the financial reform conversation in the United States and abroad. "Ricks’s new book provides a fresh take on the crisis that sharpens our understanding of it. It does so by looking at the design of our monetary system and considering its implications for financial stability. This novel approach is useful not only for thinking about the prevention of future recessions, but also for better understanding what exactly money is." "The essence of Ricks's intriguing plan is twofold. First, the government would guarantee all deposits, charging risk-based insurance premia. Second, only regulated banks would be allowed to offer liquid liabilities, defined as debt liabilities with maturity of less than a year. In this way, argues Ricks, government would regain control over money." "The problem of runnable debt has solutions. One idea comes from Ricks, a former official in the Obama administration’s Treasury Department. In his new book, The Money Problem, Ricks argues that the government should drop the pretense that its insurance extends only to $250,000 worth of deposits. Ricks has an even more controversial solution for the risks that shadow banks pose. He proposes banning any financial institution that isn’t a bank from issuing runnable liabilities—in other words, he calls for the end of shadow banking....To put it mildly, this would be a big deal." "The Money Problem, by Morgan Ricks, of Vanderbilt Law School, contains another set of proposals that deserve attention. By emphasizing the ways in which legislative charter value can rein in on bankers’ appetite for risk, it takes the opposite tack from the emphasis on higher capital requirements that has occupied most of regulators’ and legislators’ attention until recently." "In his superb new book, The Money Problem, Ricks meticulously and persuasively argues that financial stability and money creation are two sides of the same coin. Understanding this relationship yields an immensely important policy payoff. By controlling and guaranteeing what counts as money, the government can solve the problem of financial panics, with all their untoward consequences. Ricks proposes several simple reforms to achieve this result. His proposal may seem radical, but he makes a compelling case that it is both feasible and desirable." "A provocative new book. The Money Problem provides a beacon of light amid the morass of complexity that has come to plague financial institutions, financial markets, and efforts to regulate both." "Explores how the fragility of the short-term funding markets affects financial-stability policy and how shadow banking functions as a problem of monetary-system design. Presents a blueprint for the modernization of the current monetary architecture. Discusses taking the money market seriously; money creation and market failure; banking in theory and reality; panics and the macroeconomy; a monetary thought experiment; the limits of risk constraints; public support and subsidized finance; the public–private partnership; a more detailed blueprint; and financial reform revisited." "Ricks’s book is thematically rich, theoretically bold, and conceptually elaborate." Bob Litan, author of What Should Banks Do? "The Money Problem is one of the best financial books of last decade or long. Policy makers should pay attention to Morgan Ricks." "The Money Problem is in my opinion indispensable in understanding the current debates around financial reform, and is a must-read for anyone seriously interested in money and banking. This book is especially timely given the long-running argument this past year between Bernie Sanders and Hillary Clinton over how to move beyond Dodd-Frank in regulating the financial system. Ricks provides the concepts needed to resolve that and a number other live debates surrounding financial regulation and monetary policy." “The Money Problem is a fresh and insightful analysis of how money and shadow banking are implicated in financial crises and what to do about it. Ricks is intellectually fearless and takes nothing for granted." "The best book on finance in decades....clearly and sensibly written. It challenges a great deal of orthodoxy very straightforwardly. If you are not a financial regulation junkie, you may not want to tackle The Money Problem, but if you do, you will be rewarded by excellent analysis and clear writing."